I love the illustration Jesus gives in this verse. I can clearly see the tangled, lush grapevine hanging heavy because of its full clusters of fruit ripe for the picking. He is this vine- the very life force, pumping growth into all His branches, into all of his people. We are the countless branches- different shapes and sizes, placed in different clusters but are ALL connected because of Him. The beautiful thing about being connected to the vine and other branches is the internal changes that naturally take place because our God is the one who is changing us. I’ve experienced this first hand in my own life. Even though my husband and I weren’t as involved with our church family as we are now we were connected to Christ. We were working out our own walks with fear and trembling. God used our church family greatly in those years even when they weren’t aware. Just by us observing our close friends’ lives- how they loved their families and selflessly served God- we were encouraged. We were challenged to become better much quicker than if we had been walking on our own. 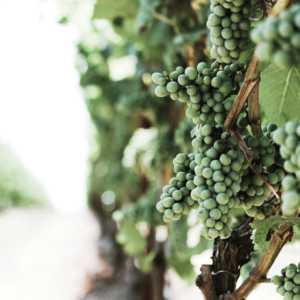 The healthy changes in our lives happened because everyone in that situation was connected to the main vine- Christ. He did the impossible! If Andrew and I had chosen to try doing things our way, no amount of observing or counseling would have changed our lives for the better. And the same for those we were surrounding ourselves with- if we were observing friends who weren’t following Christ, who knows the damage we’d encounter.